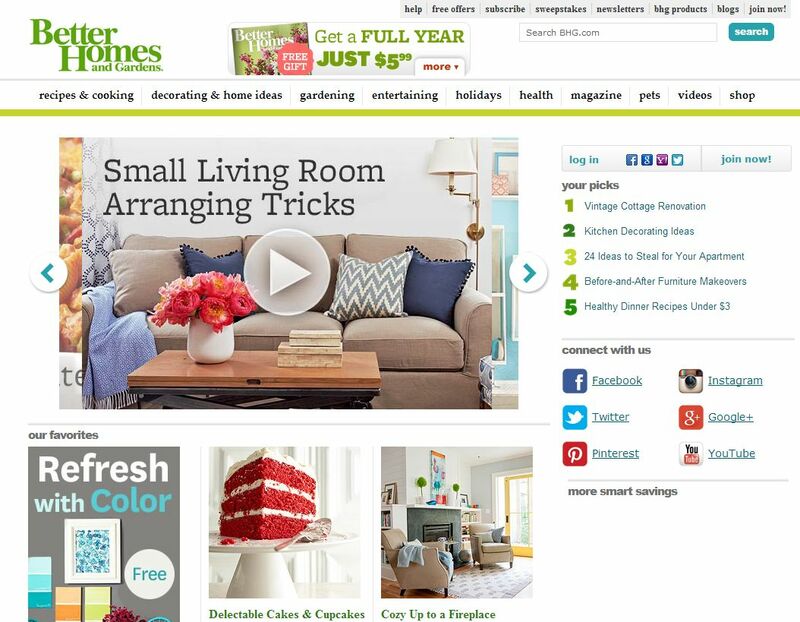 Better Homes and Gardens (known simply as BHG) is a nice resource which offers users with several useful tips, tricks and advice in a number of areas. From home improvement, to gardening tips and even delicious recipes, BHG has established itself as a resource you need to come back again and again. Exclusive videos, wonderful pictures and well-written articles are at your disposal on the website with new resources being added on a daily basis. All resources posted on the website will help the common household owner to improve their surroundings one way or the other. Of course, emphasis is put on cheap alternatives when it comes to redecorating or rearranging your garden. You can always hire an expert interior or exterior designer, but why do so when you have a resource like Better Homes and Gardens at your disposal? There are pages which underline the basics about creating your own furniture. Other articles will tell you how you can use yard sales and thrift shops to find awesome-looking furnishings for your home and then simply paint them or remodel them a bit. Videos will take you through a step by step process of getting your home looking fancy or simple, depending on the look you’re going for. All in all, Better Homes and Gardens is a worthwhile resource you should take into consideration when deciding to remodel your home or garden. The website looks great and it’s easy to navigate through, while the short insights allow you to focus on what’s important: remodeling your surroundings.